In keeping with its growing reputation, The Night Eagle Cafe in Oxford will host the kickoff of Radoslav Lorkovic's tour with Andy White, one of the most unusual and anticipated musical collaborations we've seen. In Rad we get a pianist with both blues and classical roots, and in Andy we get rock and roll and alternative sounds with Celtic origins. This is an astonishing mix for those listeners tired of the same old same old. 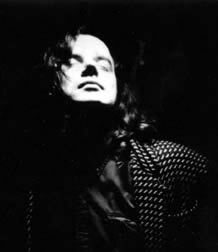 Drawing from a multitude of influences ranging from elegant classical and jazz styles to the rawest, most basic blues and soul emanating from Chicago, New Orleans and Kansas, Radoslav Lorkovic has taken on an unusually broad musical spectrum and refined it into his distinctive piano style. Following his impressive tenure on the R&B and folk circuits, he accumulated a substantial number of recording credits which include projects by Greg Brown, Dave Moore and Bo Ramsey. Radoslav Lorkovic stepped out with several releases, including "Clear and Cold," "High and Dry," and "The Line," dedicated to the people of Croatia. His work with Greg Brown on "One Big Town" earned a three and a half star rating from "Rolling Stone." Rad's disarming, whispered voice has been compared to Roger Waters' of Pink Floyd. Music critic Brett Ratner writes, "Like Floyd's music, Lorkovic's unobtrusive yet powerful piano lines are laden with blues influences...In keeping with his similarity to Waters, the lyrics convey the deep emotions and conviction of someone who has, at times, deviated from the shiny happy life of mainstream society. In trues blues fashion, the music as a whole seems to 'speak the truth'." "The music's graceful yet gut-grabbing, demanding but friendly. An elegant repertoire from an innovative artist with wide vision..." says Tony May for "Folk Roots." Born in Zagreb, Croatia in 1958, Lorkovic's initial exposure to music can be attributed to two grandmothers. Antonia Bujas, his maternal grandmother, sang him Croatian, Slovenian and Czech folk songs from birth. At age one he was reported to be singing back on pitch. By age three he was putting on stage shows for his grandfather and his friends who would respond by showering him with coins yelling, "pivaj Radoslav, pivaj!" Classical music was also played constantly in his home due to the influence of his paternal grandmother, Melita Lorkovic. Melita Lorkovic was an internationally known classical pianist called the "Grand Dame of Yugoslav Piano." She toured worldwide from the forties to the seventies. Her successes were tempered by the years shortly after the war when her husband Radoslav Lorkovic Sr. was shot by Tito's communist regime. Following a devastating period of being thrown out on the street with two children and losing her position at the university, she survived in a small flat teaching neighborhood kids piano lessons. Realizing a need to be culturally competitive, the new regime reinstated her at the university in Belgrade where she launched her brilliant career. At a concert in Belgrade, Tito himself attended the performance and was so impressed that he went backstage and asked if there were any personal favors he could grant Ms. Lorkovic. Melita responded, "Yes. Could you tell me where you shot my husband?" In a few months he obliged her request. After this blend of central European musical influences, Radoslav moved to the United States. He had a strong foothold on a classical music career when at age fourteen he was sidetracked by a blues scale that a friend taught him. After several years of expounding on this initial spark for countless hours a day, Lorkovic began his touring and recording career at age 20 with rhythm and blues giant Bo Ramsey, whom he refers to as his real blues influence. Lorkovic entered the band having mastered the styles of boogie-woogie greats such as Albert Ammons, Pete Johnson, Freddie Slack, and others. "I was most interested in the technologically complex boogie-woogie and swing when I started out...Initially, I was not drawn to the raw blues. But the more I listened the more I became interested in the primal basic driving force of the blues. I started from the outside and went in, to the core." Ramsey influence drove Lorkovic deeper. The music of Howlin' Wolf, Muddy Waters and Little Walter shifted Lorkovic's focus to the basics and he began to draw from piano styles of Otis Spann, Pinetop Perkins, and the other relatively unknown blues pianists recording in that era. Lorkovic's seven year stint with Bo Ramsey and the Sliders resulted in four albums and countless hours of studio work. This led to a touring and recording period with Greg Brown. Ramsey, Brown, and Lorkovic won critical acclaim for "One Big Town," and Lorkovic and Brown worked together further on "One More Goodnight Kiss," where Lorkovic's performance grabbed national attention. At the time when Brown and Lorkovic joined forces, Melita Lorkovic had fallen gravely ill. Rad found in his heart an emerging desire to return to classical music. Melita soon died, but the music of Mozart, Bach and Beethoven became her generous legacy to her grandson. The new direction had an interesting effect on his style, as stock barrelhouse and blues licks started to take on a more graceful and lyrical style. Lorkovic soon came upon a Professor Longhair recording, which was a timely expression of Lorkovic's expanding musical vocabulary. The precise, rhythmic attack of Longhair's revered style, in conjunction with his multicultural roots ranging from Caribbean to African melodies, shifted Lorkovic's focus south. Louisiana rhythms crept into his left hand as his right continued to travel through the blues and jazz lines, occasionally borrowing baroque structure and grace. This next step in Lorkovic's musical evolution would certainly suggest that for him, all music is a feast. He is touring with Andy White, who knows all about blending musical cultures. This Belfast native played rock and roll with Liam O'Maonlai, Tim Finn, and Peter O'Toole in both Hothouse Flowers and ALT. Their original collaborations resulted in energetic and spontaneous recordings, but for Andy each performance time is unique. Whenever Andy shows up, the word on the street is that a show is going to be different. His joyful experience sharing everything from harmonies to instruments renders Andy a collaborationist from heaven. We're fortunate to be able to stand by and listen.